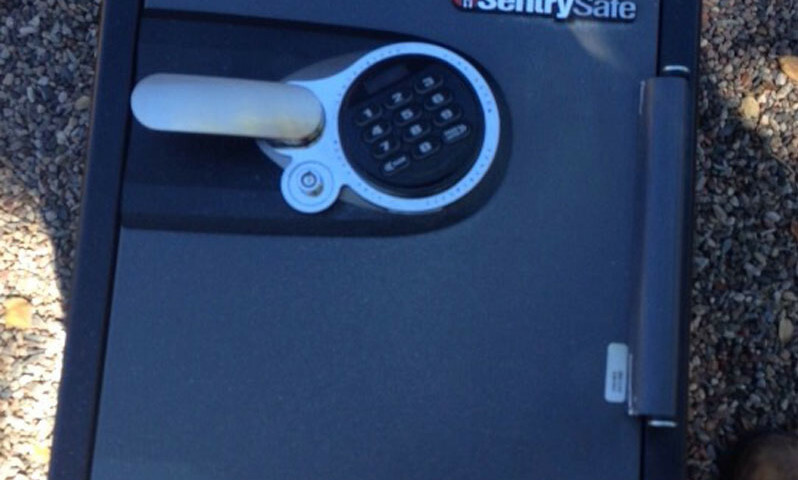 CallOrange Locksmith & Security has announced that they have started offering mobile lock & key service in the Greater Des Moines and Greater Ames area in Iowa. 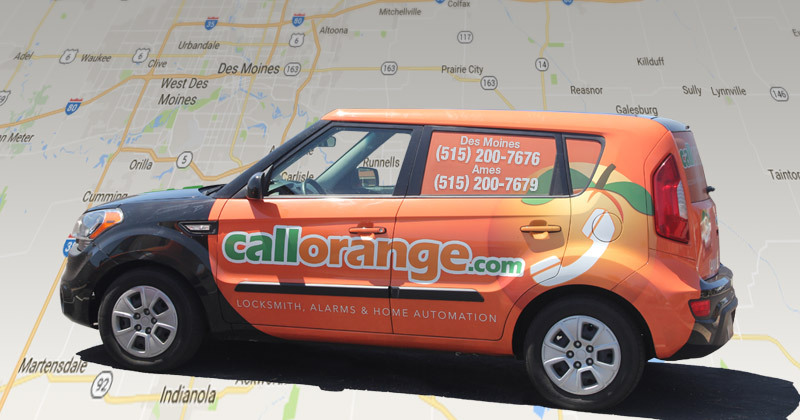 DES MOINES, Iowa – July 27, 2016 – CallOrange.com, LLC, a promotion company of locksmith, alarms, home automation and garage door repair services has announced that they have started providing mobile locksmith services in Iowa. “We’ve just started offering 24 hour locksmith service to the cities of Des Moines and Ames, Iowa and the surrounding cities within an approximate 50 mile radius.” says Yuvi Shmul, founder of Call Orange. CallOrange is currently just offering their auto locksmith, residential locksmith, and commercial business locksmith service to start but plans on expanding to promote their full range of services in the near future which includes home alarms, home automation systems and garage door service. CallOrange is now actively seeking new independent contractor partners in Iowa and cities across the United States. 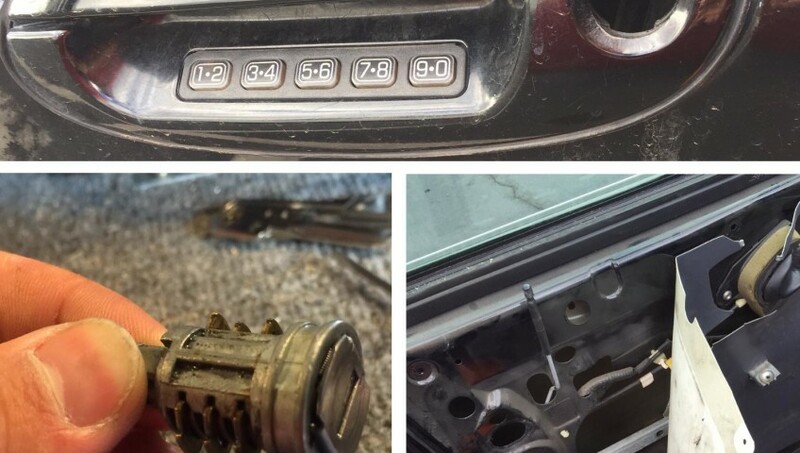 If you are a locksmith technician or any highly motivated individual who may be seeking a new career with high income potential, you are encouraged to contact CallOrange.com for more information. CallOrange.com LLC is a promotion company of locksmith, alarms, and home automation services, based in Tempe, Arizona. The Kia Soul wrapped vehicles of CallOrange can be seeing driving over 1,000,000 miles a year in Mesa, Tempe, Phoenix, Tucson, Arizona and now in Des Moines and Ames, Iowa. 24/7 Pro Locksmith, LLC is an alarm, locksmith and home automation company, which passes over 20,000 service jobs a year. All jobs are performed by trained independent contractor technicians. TEMPE, Ariz. – April 5, 2016 – PRLog — CallOrange.com, LLC, a promotion company of locksmith, alarms and home automation has announced that they have expanded their promotional service offerings to include garage door repair services. 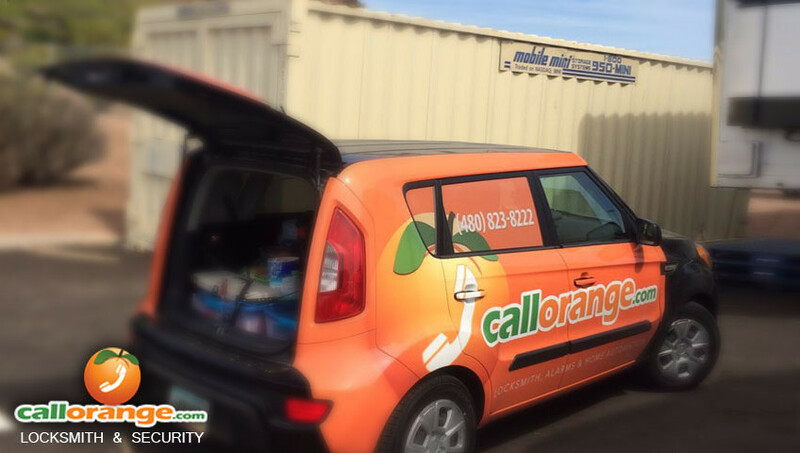 Based in the Metro Phoenix area, CallOrange has rapidly grown their mobile locksmith and security services throughout Arizona and have recently expanded their service offerings nationwide. A promoter of 24/7 mobile services, CallOrange’s focus is on fast customer response time, professional service and high customer satisfaction. Their custom GPS “Tech-Tracker”system allows CallOrange to locate and dispatch the closest available and qualified technician to a customer’s location. “Our technician tracker tool has enabled us to maximize efficiency, service customers faster and has made it possible for technicians to complete more jobs with less travel time.” Says Yuvi Shmul, founder of CallOrange. “With this system in place we were able pass over 20,000 jobs last year to independent contractors in Arizona alone.” With this effective and easily expandable system already in place CallOrange.com says that providing quality garage door repair service is a logical next step in the expansion of their mobile service offerings. 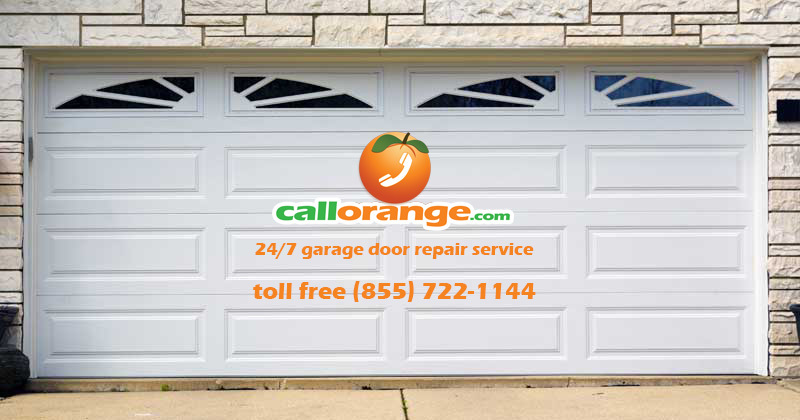 By passing jobs to qualified independent contractors CallOrange will be able to offer a wide variety of garage door services such as emergency broken garage door repair, fix bent door tracks, replace broken springs and cables, troubleshoot and repair broken garage door motors, program new garage door remote openers and more. CallOrange.com is now actively seeking new garage door technicians in all major cities throughout Arizona and nationwide. With jobs available and the mobile dispatch system already in place CallOrange is now looking for qualified independent technicians with whom they can partner. Any interested and qualified garage door technicians in Phoenix, Tucson, Colorado Springs, Denver, Seattle and Portland or any highly motivated individuals nationwide who are looking for a new career with high income potential, are encouraged to contact CallOrange for more information. CallOrange.com LLC is a promotion company of locksmith, alarms and home automation, and garage door services based in Metro Phoenix, Arizona. The Kia Soul wrapped vehicles of CallOrange can be seeing driving over 1,000,000 miles a year in Mesa, Apache Junction, Tempe, Phoenix, Queen Creek, Gilbert, Scottsdale, Glendale, Peoria, Levine, Carefree, Maricopa, and Tucson, Arizona. 24/7 Pro Locksmith, LLC is an alarm, locksmith and home automation company, which passes over 20,000 service jobs a year. All jobs are performed by trained independent contractor technicians. Portable storage lockers are an effective and convenient way to protect valuables for both your business and home. High-security units such as Mobile-Mini’s “patented Tri-Cam Locking System® provides bank vault security” for your valuable possessions and protects them from would-be thieves. 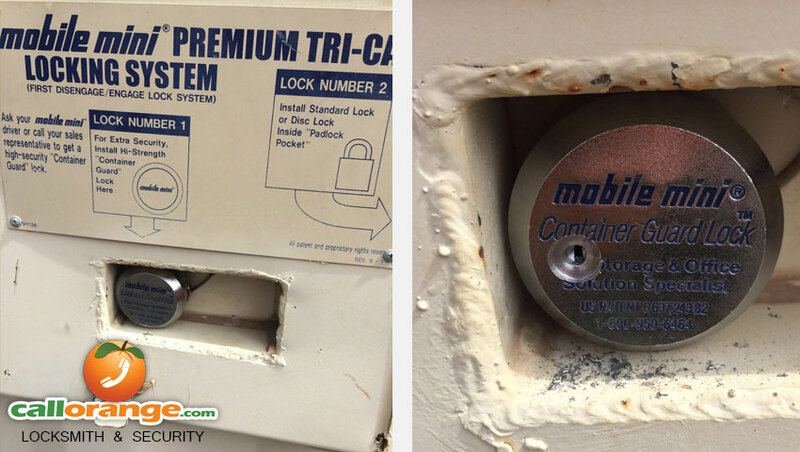 But, what do you do when your high-security portable storage container is keeping you out? CallOrange Locksmith services is your answer! Our professional locksmith technicians are available 24/7 and only minutes away to assist you. We can open locked units, drill locks, cut locks, pick locks and then install new locks for you. Whether you lost the keys to your car and need to make new keys, are locked out of your home, locked out of your business safe or locked out of your portable secure containment unit and are unable to open it – we’re there to help! CallOrange technician in Phoenix, Arizona making new keys for a customer. We can make new keys on the spot and also program your alarm remote and key transponder code. We’re available 24 hours a day, 7 days a week. Call us now! CallORange locksmith making new keys for a Toyota. 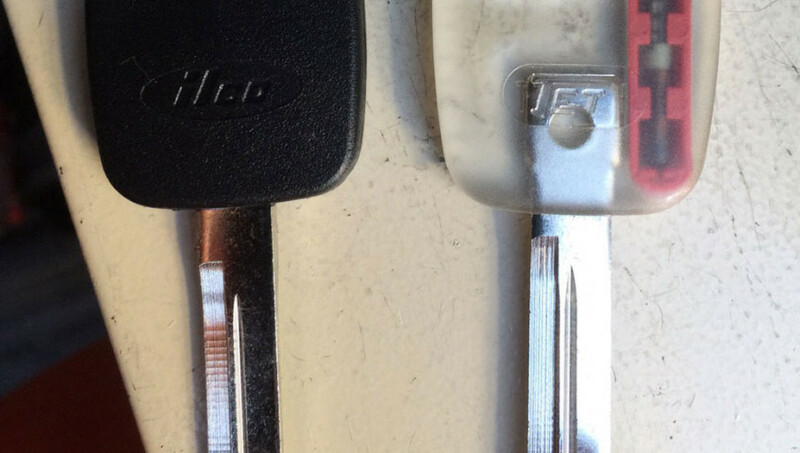 We come to you for key cutting, lock repair and more. We have an average response time of 15 minutes! We’re available 24 hours a day, 7 days a week. Call us now! CallOrange locksmith on-site making duplicate high-security keys. We can also program your alarm remote and the key transponder chip. We’re available 24 hours a day, 7 days a week. Call us now! Have a locked safe you can’t open? 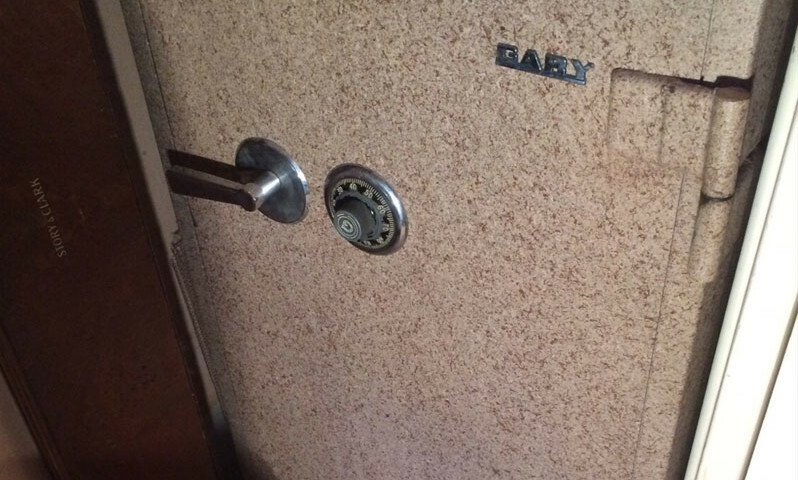 Our lockmith technicians can open locked safes for. If you need a safe cracked, we’re available 24 hours a day, 7 days a week. Call us now! 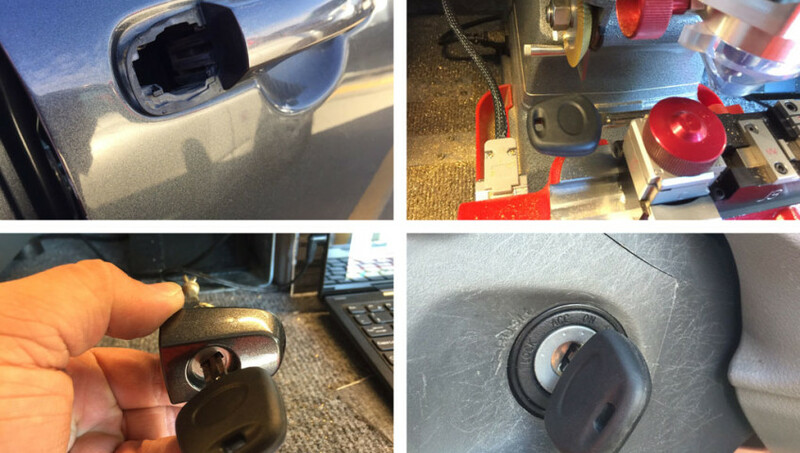 Our mobile locksmith technicians are available 24/7 and can usually be at your location with 15 minutes. 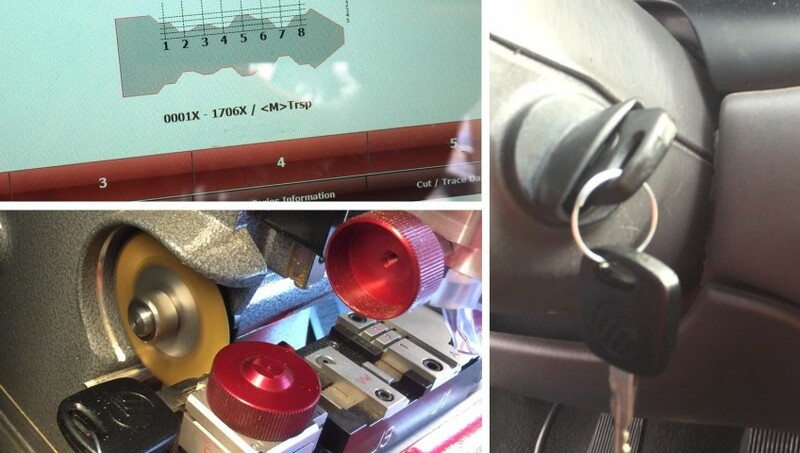 On-the-spot high-security key cutting and transponder “chip” key programming. Program keys, remotes and keyless entry keys. We’re available 24 hours a day, 7 days a week. Call us now! CallOrange locksmith repairing a car door lock. 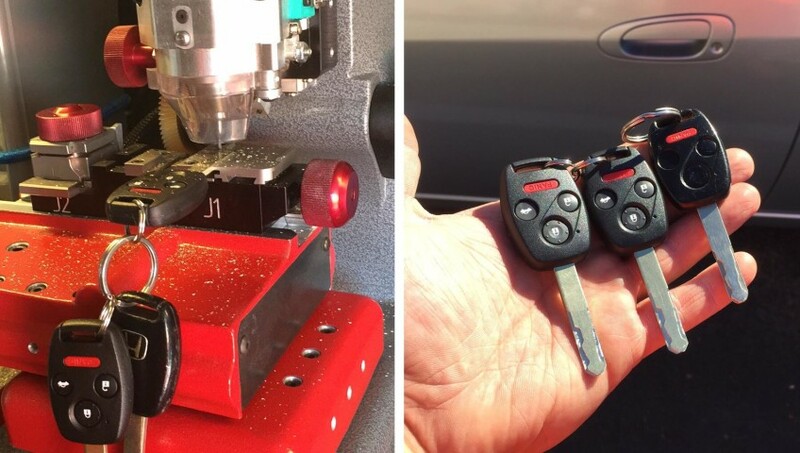 On-the-spot key cutting for new and duplicate keys. We’re available 24 hours a day, 7 days a week. Call us now! CallOrange technician cracking a SentryLock safe. Own a safe you can’t open? CallOrange professional locksmiths can open locked safes. We’re available 24 hours a day, 7 days a week. Call us now!